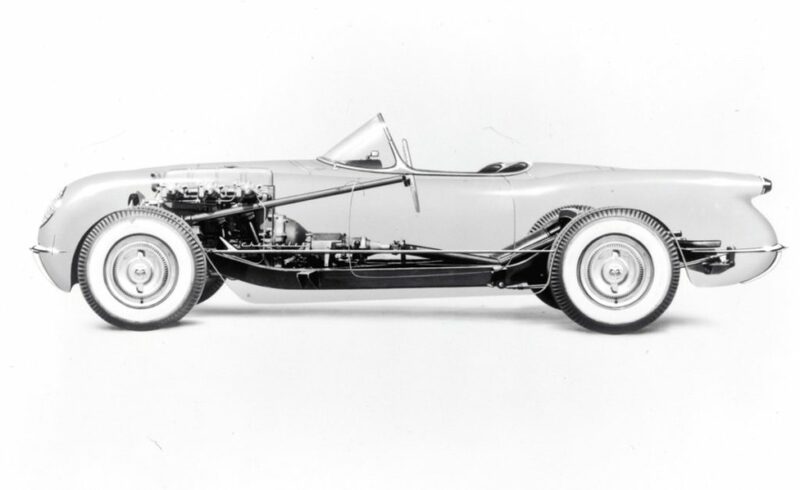 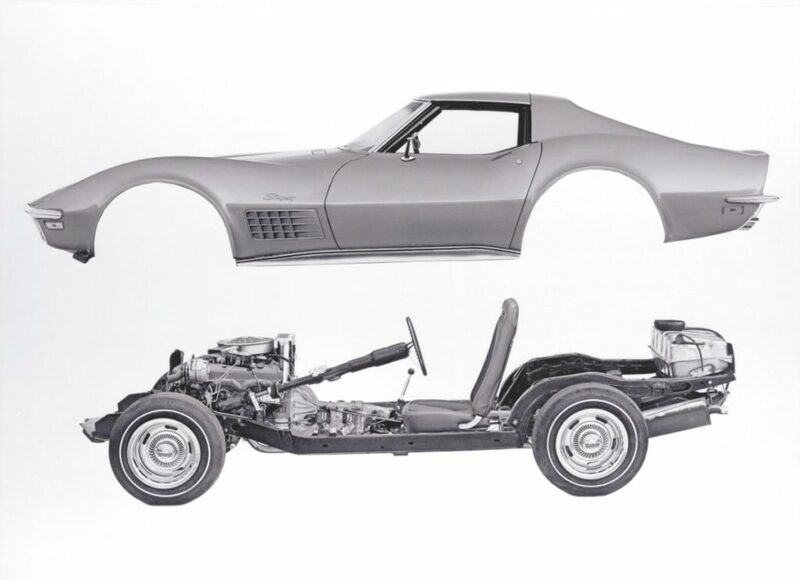 First-generation (C1) Corvettes used a modified chassis from Chevrolet’s passenger car lineup, which featured a central X-brace and accommodated the car’s 102-inch wheelbase, which was 13 inches shorter than a Bel Air sedan. 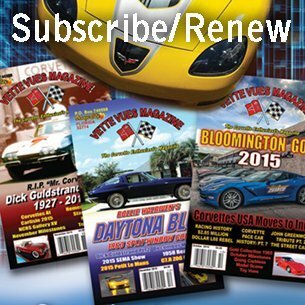 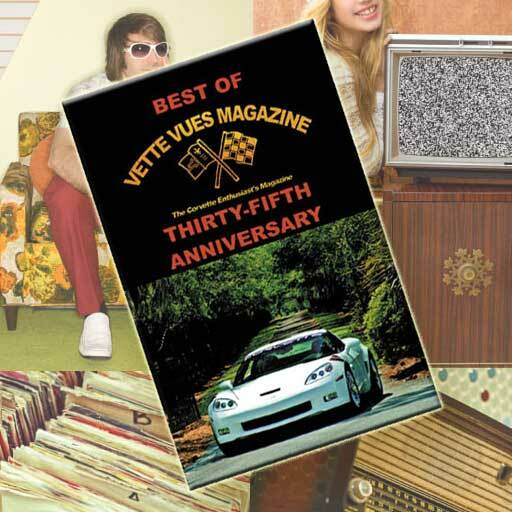 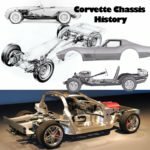 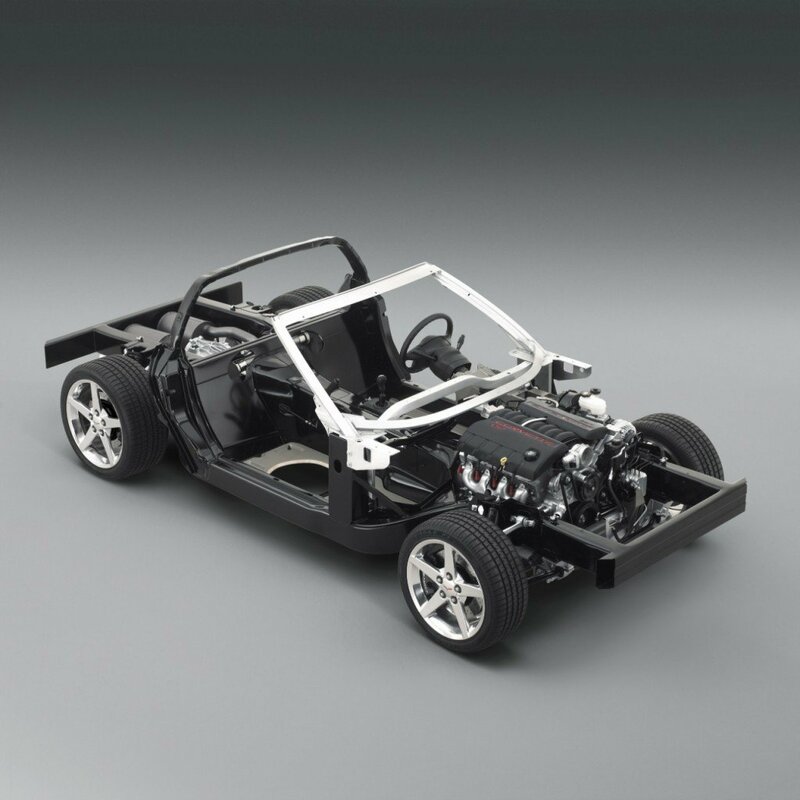 The introduction of the second-generation (C2) Corvette brought an all-new, dedicated chassis that featured a stronger ladder-type design and incorporated provisions for the new car’s independent rear suspension. 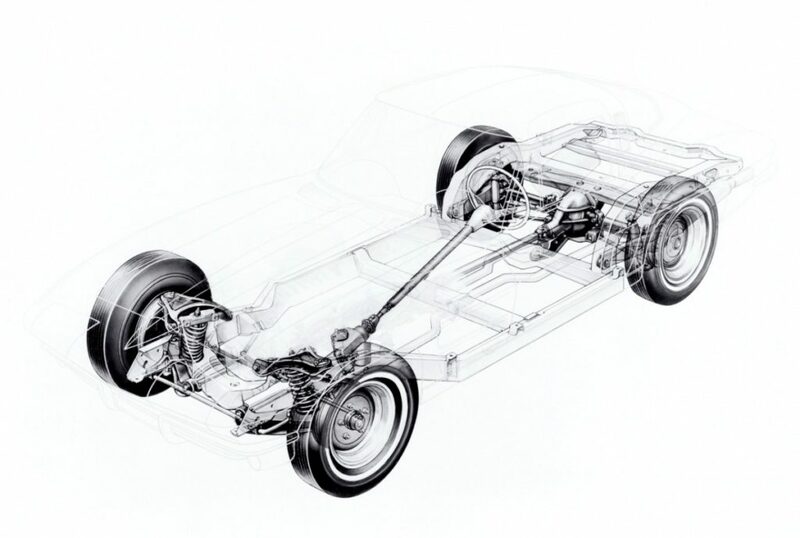 Third-generation (C3) Corvettes employed the same basic ladder-frame design as C2 models, while advances in suspension design contributed to greater handling capability. 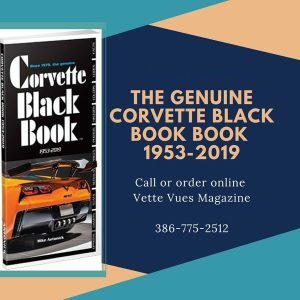 C5 (1997-2004) and C6 (2005-2013) Corvettes are based on unitized chassis featuring hydroformed side rails a rear transaxle, which mounts the transmission directly in front of the rear axle for greater weight balance. 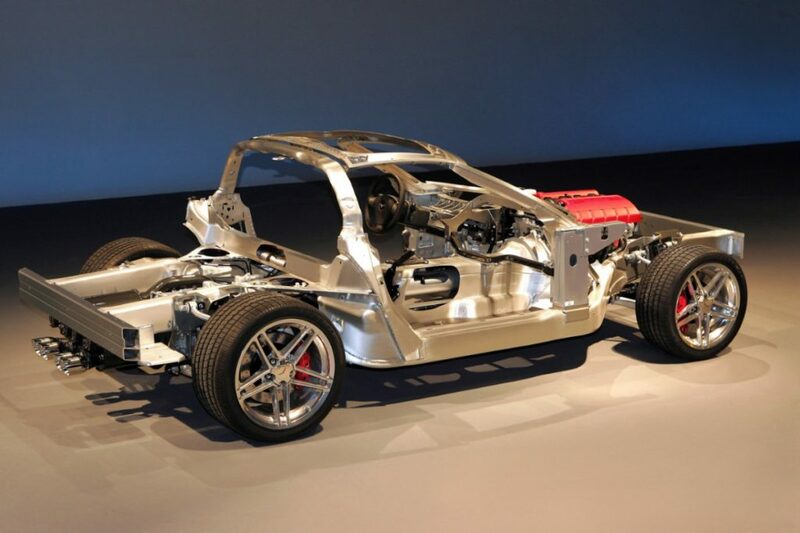 The C6 Corvette Z06 and ZR1 models are built on a unique aluminum-intensive chassis that helps these high-performance models achieve excellent power-to-weight ratios.